In the long-awaited second edition of Basic Concepts of Intercultural Communication, Milton J. Bennett provides a comprehensive overview of the field from a constructivist perspective. What you'll learn from Makers at Work: Learn about 3d printing and how it is changing manufacturing. Discover new software tools for designing things on your own. Learn how to source parts, code, or ideas for your creations. Meet maker pioneers who helped open up a new world, and makers who have used crowdfunding to support their efforts. Uncover recipes for success or failure when bringing physical products to market. Learn ways to scale your weekend project into a profitable business from experienced entrepreneurs. Learn how open-source hardware and software is enabling new classes of products by removing the barrier of entry for inventors. Open your mind to new ideas, methods, things, and possibilities. This book is for anyone with an independent spirit, creative bent, or natural curiosity who believes you can create whatever your mind can conceive and wants to see how others have done just that. The book has two intentions. First, it assembles the latest research in the field of medical imaging technology in one place. Detailed descriptions of current state-of-the-art medical imaging systems (comprised of x-ray CT, MRI, ultrasound, and nuclear medicine) and data processing techniques are discussed. Information is provided that will give interested engineers and scientists a solid foundation from which to build with additional resources. Secondly, it exposes the reader to myriad applications that medical imaging technology has enabled. Incompetent, lazy, spotlight-hogging, whiny, backstabbing, avoidant—there’s no end to the personality challenges that impede workplace relationships. But interacting effectively with employees, colleagues, and bosses is essential for success. With Powerful Phrases for Dealing with Difficult People, anyone can confront problems head-on, before they fester and spread. Practical and easy to use, the book helps you identify button-pushing situations and deploy simple phrases to regain control and resolve conflicts—no matter who you’re dealing with. Apps in SharePoint are here to stay. Don't miss out - pick up a copy of Pro SharePoint 2013 App Development and get started on your own custom apps today. Introduces the architecture for creating and hosting SharePoint apps. Leads the reader through the creation and deployment of a complete solution. Provides an understanding of the security features in the SharePoint app model. Helps the organization leverage internal data securely over the network. Leverages SharePoint search and other services to create rich SharePoint solutions. Introduces the techniques for delivering data on a multitude of web and mobile platforms. After-school and out-of-school programs—as well as home schooling—have been growing steadily for nearly a decade, but instructors are still searching for high-interest content that ties into science standards without the rigidity of current classroom canon. The author draws on more than 20 years of experience doing hands-on science to facilitate tinkering: learning science while fooling around with real things. Explore a new way to enjoy the coast. 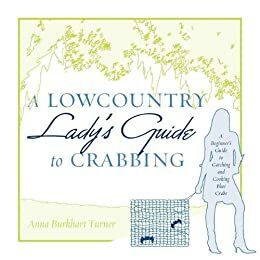 A Lowcountry Lady's Guide to Crabbing provides step by step instructions on the cherished tradition of crabbing, blue crab cooking preparation, and specialty recipes. This book is for those women who have never learned the art of crabbing or have not tried in years. One of the most enjoyable aspects of crabbing is being outdoors and experiencing the true beauty of the salt marshes and coastline. The marshes, rivers, creeks, and ocean are beautiful pieces of nature we often overlook. While crabbing, time slows and you are allowed the rare opportunity to simply enjoy the place we South Carolinians call home. 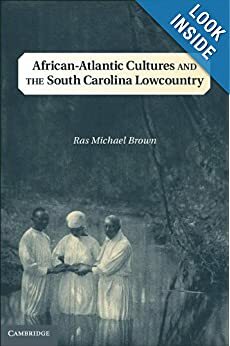 African-Atlantic Cultures and the South Carolina Lowcountry examines perceptions of the natural world revealed by the religious ideas and practices of African-descended communities in South Carolina from the colonial period into the twentieth century. Focusing on Kongo nature spirits known as the simbi, Ras Michael Brown describes the essential role religion played in key historical processes, such as establishing new communities and incorporating American forms of Christianity into an African-based spirituality. This book illuminates how people of African descent engaged the spiritual landscape of the Lowcountry through their subsistence practices, religious experiences, and political discourse. 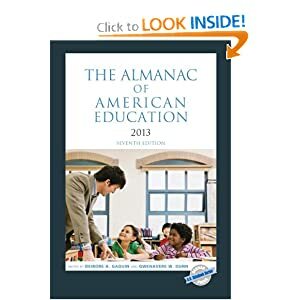 The Almanac of American Education helps users understand and compare the quality of education at the national, state, and county levels. Compiled from official U.S. government and reliable private sources, the book contains historical and current data, insightful analysis, and useful graphs that provide compelling insights into the state of education in America. The Almanac provides national coverage of school enrollment and educational attainment, looking at American education from a variety of different angles. This edition contains numerous figures including the percentage of high school and college graduates in the population and enrollment status by age and level of education. State-level statistics include: • average SAT and ACT scores • per-student expenditures • private and public school enrollment • student poverty • public school teacher salaries and teacher characteristics • regional comparative data. County-level statistics include: • information on student/teacher ratios • free lunch eligibility • numbers of students and graduates • attainment levels • per-student expenditures. As digital information becomes increasingly prevalent, ensuring that such data remains discoverable, accessible, and intelligible to wider communities is of critical importance. This collection explores the issues and possibilities involved with data management in higher education and the information field. Illustrated with real-world examples throughout, the book offers practical advice on the components necessary to create a culture of effective data management, including skills required, legal obligations, strategies and management plans, and the data management infrastructure of specialists and services. LIS professionals and others working in higher education, along with researchers and policy makers, will find plenty of practical guidance in this timely book. Painting the Landscape with Fire explores the unique southern biosphere of longleaf forests. 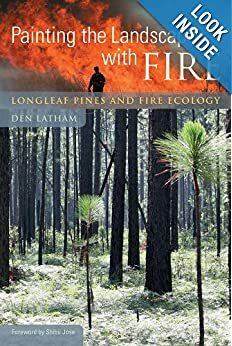 Throughout, Latham beautifully tells the story of the resilience of these woodlands and of the resourcefulness of those who work to see them thrive. Fire is destructive in the case of accidents, arson, or poor policy, but with the right precautions and safety measures, it is the glowing life force that these forests need. 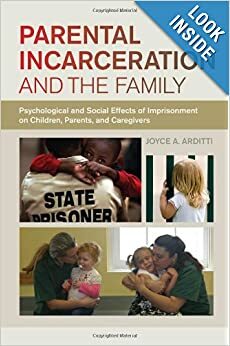 Parental Incarceration and the Family Psychological and social effects of imprisonment on children, parents, and caregivers. Parental Incarceration and the Family offers an in-depth look at how incarceration affects entire families: offender, parents, children and caregivers. By all accounts, the Great Recession had a devastating impact on the U.S. labor market both in the short and long term. Relatively high unemployment lingers, millions are either underemployed or have voluntarily dropped out of the labor market, and the economy is growing but not at the pace needed to return the nation to prerecession employment levels any time soon. The result is that millions of workers have experienced the persistent and painful economic and psychological consequences that result from experiencing long-term unemployment. 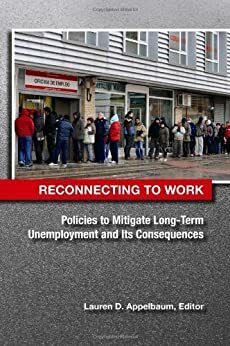 This book addresses these consequences in order to promote a better understanding of the effects of long-term unemployment and the policies that are needed to address it. In Reconnecting to Work: Policies to Mitigate Long-Term Unemployment and Its Consequences, Lauren D. Appelbaum, editor, an international group of researchers presents work that focuses on the economic and psychological consequences resulting from lengthy detachment from the workforce and on policies that might ameliorate long-term unemployment. In the foreword to the book, renowned economist Richard Freeman provides a "Seussian" take on the jobs crisis in the United States. His remarks serve as an amusing yet stern warning that the structural issues generally blamed for causing the weak labor market and rising inequality remain in place. 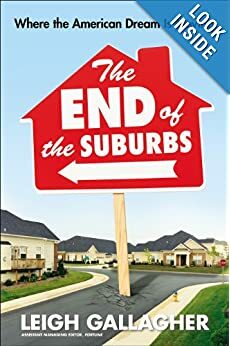 In The End of the Suburbs journalist Leigh Gallagher traces the rise and fall of American suburbia from the stately railroad suburbs that sprung up outside American cities in the 19th and early 20th centuries to current-day sprawling exurbs where residents spend as much as four hours each day commuting. Along the way she shows why suburbia was unsustainable from the start and explores the hundreds of new, alternative communities that are springing up around the country and promise to reshape our way of life for the better. 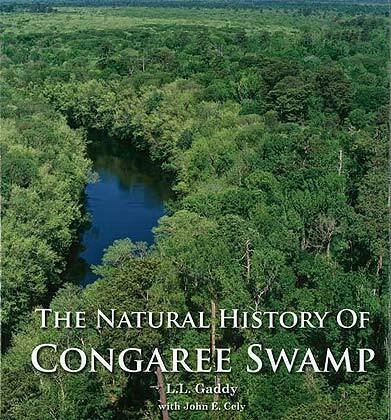 An absolutely beautiful journey into Congaree Swamp! The Appendix includes extensive lists of plants, birds, mammals, reptiles, fish and amphibians of the swamp. 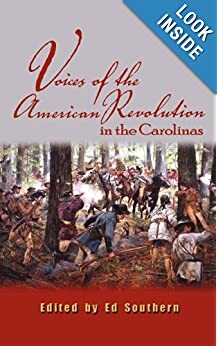 Through eyewitness accounts of those who fought the battles and skirmishes, Voices of the American Revolution in the Carolinas provides the reader with firsthand looks at how it felt. The entries in this volume are taken from first-person narratives by those on the scene, from officers such as Henry Lee and Banastre Tarleton to teenage scouts such as Thomas Young and James Collins. Some narratives, like Daniel Morgan's report of the Battle of Cowpens, were written immediately or soon after the action; others, like Young's, were written when the boy soldiers had become old men. Some were written specifically for publication, while others were written as private correspondence or official reports. Some express a great deal of emotion and describe the authors' immediate experiences of war, while others concentrate on logistics, strategy, tactics, and the practical realities of an army in battle; some, like Lee's, manage to do both. 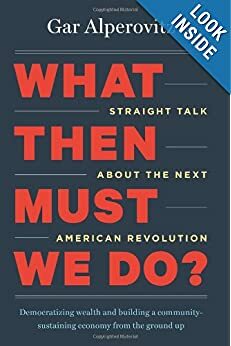 Never before have so many Americans been more frustrated with our economic system, more fearful that it is failing, or more open to fresh ideas about a new one. The seeds of a new movement demanding change are forming. Alperovitz calls for an evolution, not a revolution, out of the old system and into the new. That new system would democratize the ownership of wealth, strengthen communities in diverse ways, and be governed by policies and institutions sophisticated enough to manage a large-scale, powerful economy. For the growing group of Americans pacing at the edge of confidence in the old system, or already among its detractors, What Then Must We Do? offers an elegant solution for moving from anger to strategy.